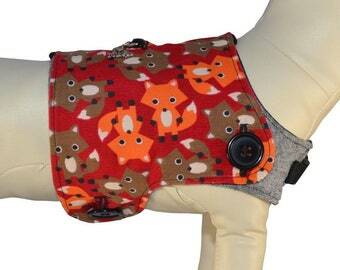 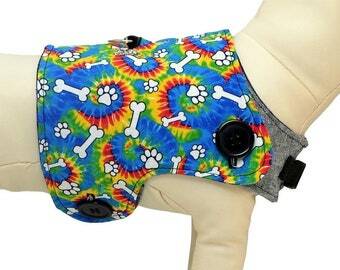 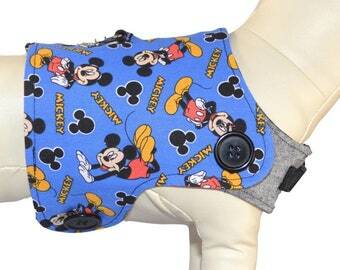 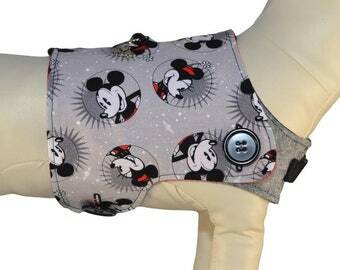 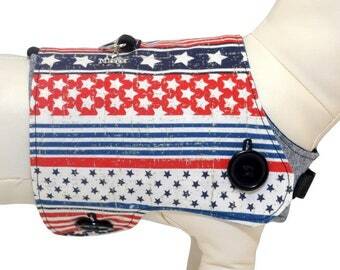 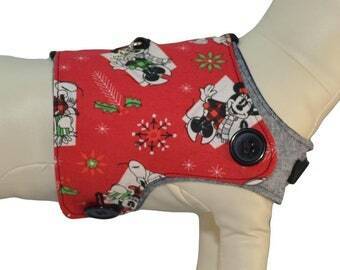 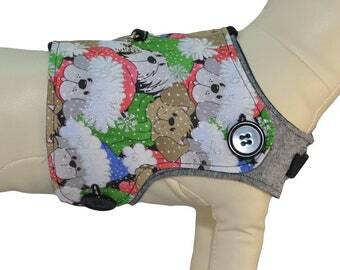 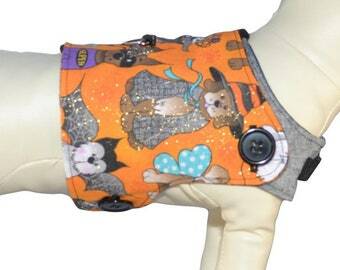 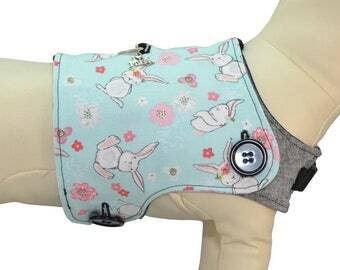 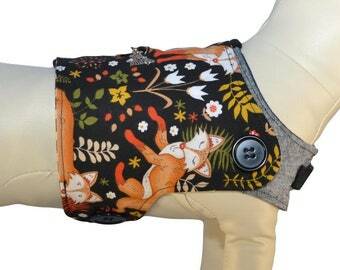 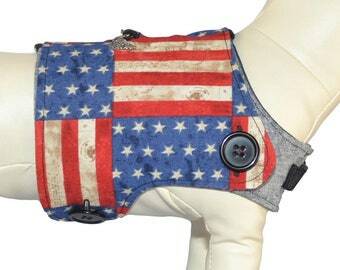 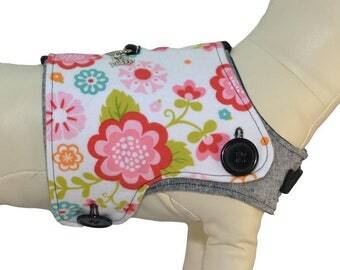 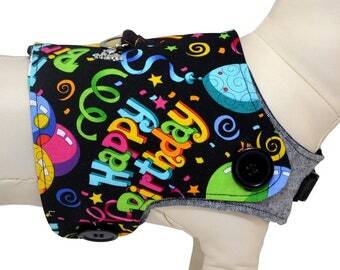 Your pup can join Mickey and Minnie Mouse on their Easter Egg hunt while sporting this fun holiday themed vest. 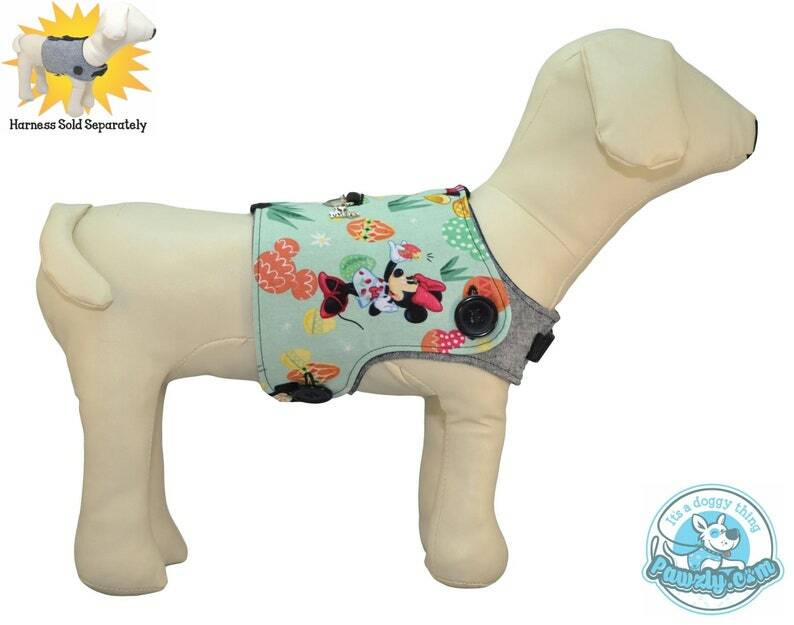 The front features Mickey and Minnie Mouse with a myriad of painted eggs and Mickey ear silhouettes on a light blue background. 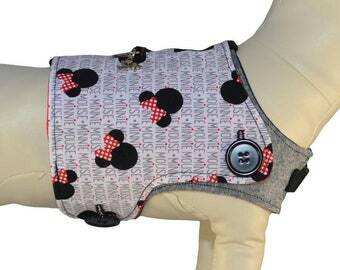 The back features white ear silhouettes on a black background.